Rockers Van Halen plan to tour North America this summer and fall which is after the release of their latest live concert record, Tokyo Dome Live in Concert. 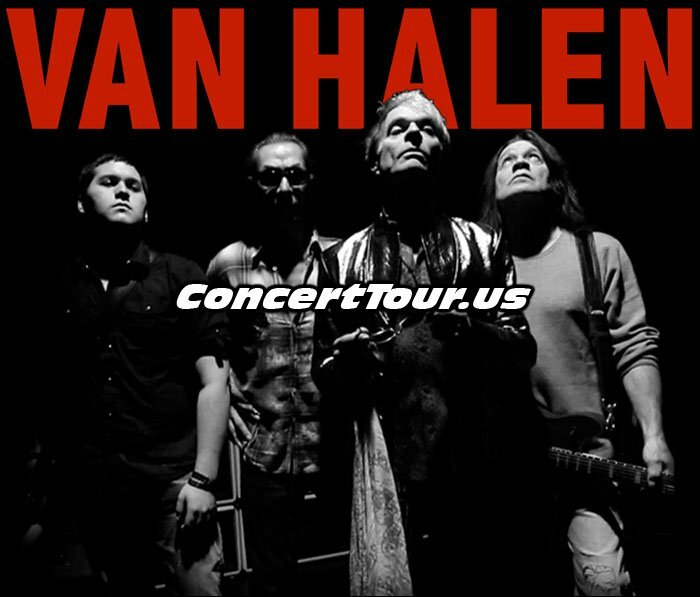 The Van Halen tour will begin in Seattle on July 5 and finish things off in Los Angeles on October 2nd. Almost 40 shows are planned for across North America, with shows in Chicago, Cleveland, Toronto, Dallas, Phoenix and more including a few stops up in Canada. You can see the full list of tour dates below. David Lee Roth, the band’s original frontman, who took lead on the band’s most recent studio album, 2012′s A Different Kind of Truth, will also be on this tour. It will also include the Kenny Wayne Shepherd Band as the opening act on all the Van Halen tour dates. Look below for the latest list of Van Halen tour dates, links to look for Van Halen concert tickets and some cool Van Halen music videos and pictures. Check back to see if they add any more Van Halen tour dates to their present schedule. VIDEO – VAN HALEN, LIVE 2012 Pittsburgh , HQ FULL COMPLETE SHOW! VIDEO – VAN HALEN, LIVE 2012 DETROIT, FULL COMPLETE SHOW! Van Halen Announce 2015 Tour with David Lee Roth! Van Halen fans should act quick on this set of concerts, who knows how many more Van Halen concerts there will be!